These quesadillas will get you in the mood for warm weather. Bring on the warm weather! 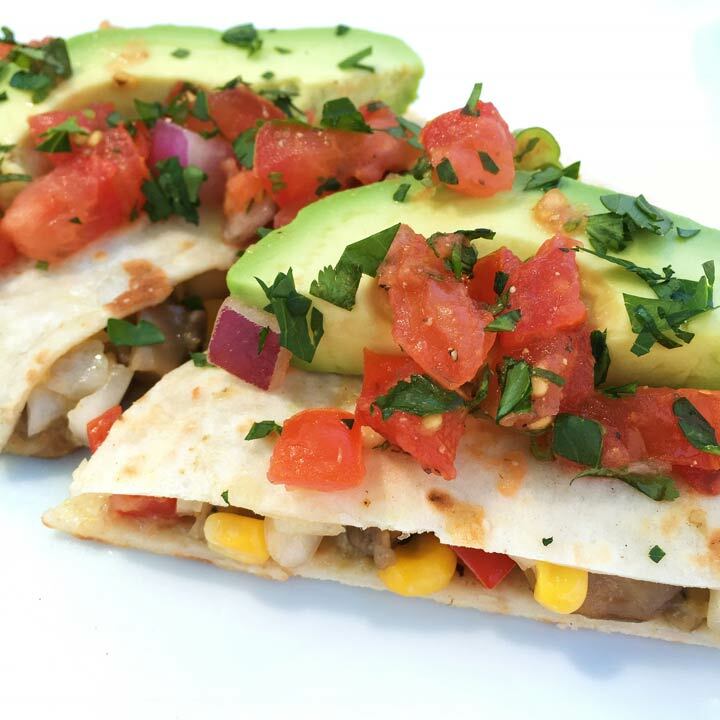 We are getting excited for fresh summer corn with these Roasted Corn Quesadillas… We used frozen corn tonight and can only imagine how yummy they’ll be with fresh corn! Quesadillas are a crowd pleaser in our house and easily adaptable to varying tastes. Mine was Corn Confetti, Sautéed Mushrooms & Mozzarella, topped with Avocado, Salsa, & Cilantro. Corn confetti recipe from Vegetarian Times Magazine.